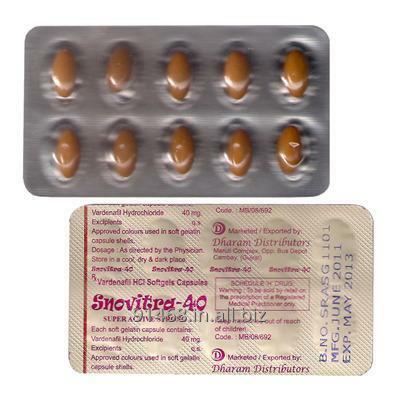 Snovitra 40 mg Super Active Strong is a generic of Levitra 40 mg Super Active and contains Vardenafil 40 mg. These are softgelatin capsules and used in the treatment of Erectile Dysfunction. Unbelievable price on SNOVITRA SUPER ACTIVE 40 MG GENERIC LEVITRA in Mumbai (India) company Shah & Company.